Depending on the language and subject area, a translation cost EUR 0.08 – 0,16 per word with us. We offer professional translation, including editing and proofreading 20-25% cheaper than other translation agencies with offices in the Nordics because we are an internet-based company with production office in Riga, Latvia and thus ensure lower costs for your translation than other Nordic translation agencies have. Additionally, you can reduce your translation costs with our use of CAT tools. Please read here more how to reduce translation costs without sacrificing quality. 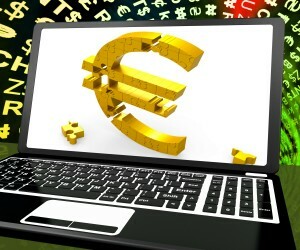 To save client costs, translation agency uses CAT (Computer-Aided Translation) tools to ensure that customer get the best possible translation price and solution, which is cost-effective and of high quality. Only human translator can precisely decide about the right context of a text. All translations of translation agency Baltic Media are done and edited by human beings. The translation rates in the translation market tend to differ and therefore you should not be afraid to ask questions as this is the only way to achieve high quality translation service provision and understanding between the client and supplier in the long term. The most expensive is not necessarily the best and vice versa. The majority of translation agencies care about the long-term relationship with their clients, therefore it is particularly important to agree upon a price, quality and service that suit you best. number of standard pages (one standard page is 1800 characters with spaces or 1500 characters without spaces). Generally, the price is determined by the word count in the source text (original); however, it is not always possible. If the text is only available as a hard copy, it is handwritten, etc. the price may be calculated by the word count in target text (translation). Rates depend on how common the particular language is (the more uncommon the language in the respective market, the higher the rate), the complexity of the source text, for instance, fiction would require special adaptation (higher rate would be applied), whether a layout design is required (higher rate would apply), etc. The rates are also subject to the terms of delivery. It should be noted that a professional translator can make a quality translation of approximately 5 standard pages per day. Urgent translations shall be subject to an express service rate, which ranges from 50% to 100% and is charged in addition to the regular service rate. For regular clients we provide express translations without extra charge. Discounts for translation services apply if the number of pages exceeds 50. Interpreting services are charged on an hourly basis. The price is set for full hours determining additional rate for passive interpreting, e.g., time spent by the interpreter on the location when active interpreting does not take place. In addition, the travelling, accommodation and other associated costs shall also be calculated. When ordering simultaneous interpreting service, please note that the interpreting is usually provided by two interpreters who take turns interpreting for 20-30 minutes each. In order to receive the quotation for the rent of the mobile equipment for simultaneous interpreting, please provide the Project Manager with the exact time and venue of the event, language combinations and the expected number of participants. Choose to save by applying for tuition in morning or day groups, or taking the advantage of our special offers. The price quote for tuition of corporate customers is prepared on the basis of the customer's needs regarding the frequency of lessons, venue, and length of the course. The course fee includes all the study materials necessary and for the tuition that takes place in the premises of Baltic Media Ltd – free tea, coffee and snacks. The prices for transcription, translation and recording of audio/video files and text conversion are set on an hourly basis and are based on the number of hours required for the accomplishment of the particular task, however, for layout designing – according to hourly tariff or per number of pages. The price for text editing/linguistic review is set per hourly tariff or by applying half of the rate for translation. For subtitle translation the price is determined according to the word count in the source text. However, for the transcription and timing draw-up services the price is set on the basis of an hourly tariff. How To Keep Translation Quality High While Reducing Costs? We Have Our Solution.